​$1 to start then only $​47 per month! ​In ​this course you will learn two secrets only the pros know that will make ​everything else you do 10 to 100 times more valuable. ​Funding a charity, like animal rescue, feeding the hungry, or housing the homeless. We ​have the help you need. Give ​​us ​just a little bit of your time each week and we will make sure you know the technical magic and mindset ninja skills you need to have in your arsenal to create every aspect of your best life​. You could spend years of frustration and spend thousands of dollars trying to learn these skills...or I can teach them to you and show you how to implement them in your new entrepreneurial journey much more quickly and efficiently. Begin with a video conference with Dr. Joe Vitale where you can ask him anything! His regular video consultation price of $5000 /hr. You have never seen a deal like this to consult with him directly. Make sure you have a success mindset going in. Learn to find and eliminate your limiting beliefs and develop laser-focus on the outcome you expect. Receive 24 step-by-step actions plans along with the video training to easily implement them. 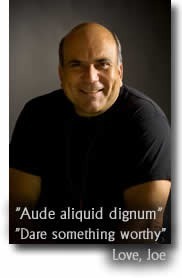 Train live every week with VLM Hypnotic Marketing Master Chuck Pennington ans special guests. Receive 24 step-by-step mindset actions plans. Skills are useless if you're not in the right head-space. Designed by Dr. Joe. Take advantage weekly ​office hours video conferencing where you get support with answers to your questions as they come up and review of your projects in progress. Stay on track, not sidetracked by Flashy-Object Syndrome. We’ll show you only the tools you need and when and how to use them. Keep your horses before your carts. There are tricks to it. We'll make sure you’re are always moving forward. ​Learn to run your own mastermind group of 5 to 7 classmates for ongoing support and accountability to your goals. We'll show you how! Meet like-minded folk and create partnerships You will be part of an online community where you can ask questions, get support. ​You will one beautifully magnificent concept that will make all your work exponentially more valuable. 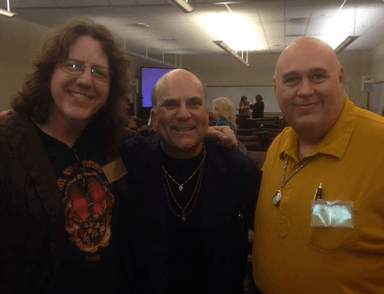 ​We also, recently attend an invitation-only mastermind deep in the Texas Hill Country at a place called The Wizard Academy where the room was filled with the the Wizard of Ads and a room full of the biggest names in online business. The owner of one of, if not the largest, digital marketing firms in the world confirmed both of these concepts as being ​key to their success. I will ​clue you in on exactly what we talked about. This discussion alone ​will be worth the price of the entire course. ​​Try it for $1 to get started, then only $47 per month. ​$1 to get started then only $47 per month. You are fully protected by our 100% Satisfaction-Guarantee. If you don't ​like any aspect of this course​ within the first ​21 days after the course starts, just let us know and we'll send you a prompt refund.